Shares in Blackham Resources (ASX:BLK) have jumped by over 10% to hit a 2015 high after it released a slew of drilling results which give it increased confidence in its main Matilda Mine. It has tested several planned pit floors with the drill bit in recent times, drilling 22 holes into the M3, M10, M1 South, and M4 North pits. Given the mineralisation was hit at less than 10m below the current planned pit floor, this opens the possibility of deepening the pit floor in a cost-effective fashion. It also said further drilling results from the M10 and M1 South pit floors firmed up its previous thoughts on the resource in the area, but drilling at the M4 North pit had the potential to spur the merger of two key pits. BLK drilled into the eastern section of the M4 North Pit, with results including 8m @ 2.37g/t from 49m and 5m @ 4.93g/t from 62m. It said that the results “should help merge the M4 and M4 North pits into one pit”. The upshot of this according to BLK was that it would likely improve stripping ratios and enhance the economics of the pits. 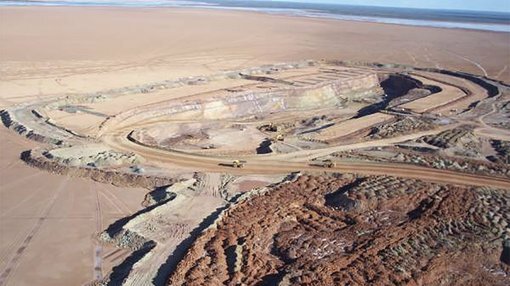 The pits are at the Matilda Mine, which is being planned as the initial source of gold for its Wiluna Gold Plant, which is scheduled to open next year. BLK said the latest drilling results are “likely” to be folded into mining studies which are being used to inform a definitive feasibility study. Meanwhile, BLK confirmed that the resource models, geotechnical studies, and metallurgical work done for a pre-feasibility study had been done. Shares in BLK are currently trading at 23.5c, up 11.9% for the day in intraday trading. BLK is planning to bring gold from the Matilda Gold Project from the Northern Yilgarn region in Western Australia into production using the existing, but mothballed, Wiluna Gold Plant. The aim is to start producing gold in the second quarter of next year, with the first stage of production to utilise soft oxide and free milling, using the existing resources at the Matilda Mine, with additional gold ores coming from the high grade reefs like Golden Age, Galaxy and Caledonia. The overall project has a total measured, indicated, and inferred resource of 44 million tonnes of gold at an average grade of 3.3 grams per tonne for a total of 4.6 million ounces of gold. However, measured and indicated make up 20Mt @ 3.5g/t for 2.3Moz of this. It is currently working on a pre-feasibility study, with BLK telling the market that it is currently in the final stages of completion and “is expected to be reported shortly”. Shares in BLK have risen by 370% since the start of the calendar year, with today’s intraday price of 23.5c a high for 2015. Click through for more detail. Past performance is not an indicator of future performance.